My best friend is pregnant! Finally someone is having a baby girl!!! (I think I'm more excited that she and her husband are). 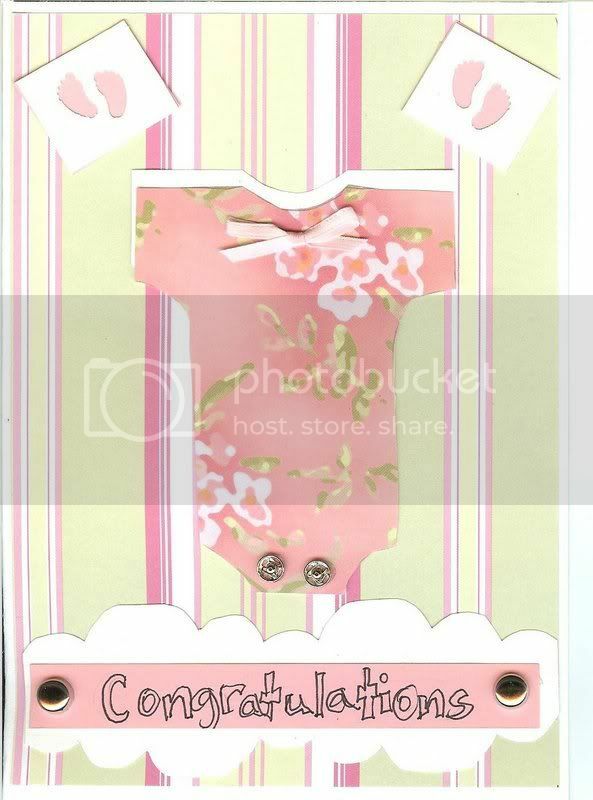 Here is a card for her and one for a former co-worker who had a baby boy in the spring. 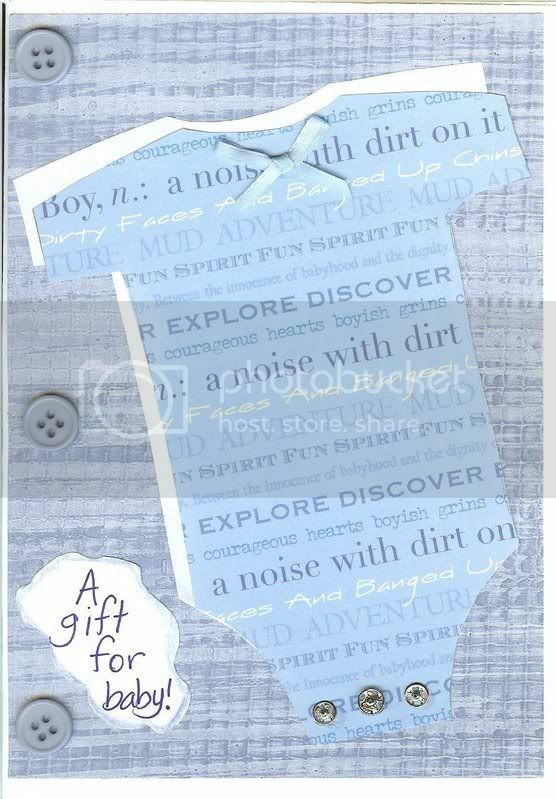 The template for the onesie is from Paper Creations Summer 2007. Images are clickable.